The Prime Minister has urged civil servants who were recipients of government scholarships for tertiary education abroad, cooperation to carry out the reforms that have been set in place. The Prime Minister said he has encountered a few returned scholars who were not prepared to see these reforms through and he considers it a a ‘mindset’ problem but is looking forwarding to working with them, with the PSC addressing this issue through in-house training. 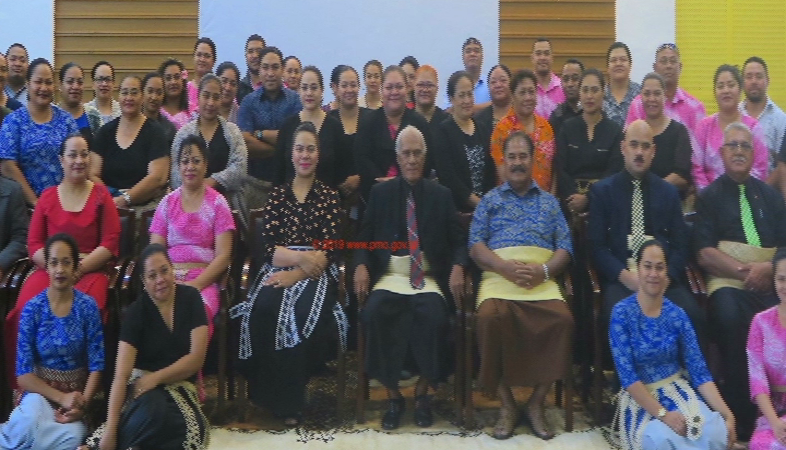 He highlighted this during a meeting and prayer service with the staff of the Prime Minister’s Office, the Ministry of Foreign Affairs and Trade and the Public Service Commission, at the Fa’onelua Convention Centre on Monday morning to kick off the start of the new work year.